I’ve cycled a lot of Britain’s Sustrans cycle routes over the years, studied their maps, got lost, and occasionally found, and enjoyed them hugely. But which, I thought, were the best? 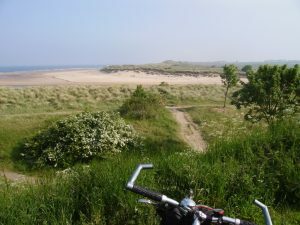 Which would be my Top 5 Sustrans cycle routes? Counting down, this is my choice of the Top 5 Sustrans Cycle Routes in Britain’s National Cycle Network. ONLY Number 5?! When around a quarter of a million people have cycled the route? Each dipping their wheels in the Irish Sea, cycling from one side of the country to the other then dipping their wheels in the North Sea? Passing through the Lake District, the Pennines and County Durham? Yes. Truly. 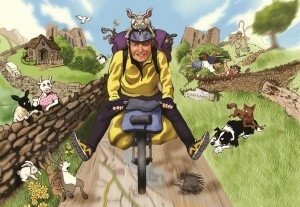 If you have cycled the C2C already, pick another from this list, cycle it, then decide! So what’s wrong with the C2C, or the ‘Sea to Sea’ as the Sustrans map calls it? What makes it only Number 5? Well, not much is ‘wrong’ with it. The route is a good one. Over the usual three days, the first day through the Lake District is a fine one, even if the long stretch towards Penrith does mean you’ll be pleased to see your overnight stop come into view. The second day through the Pennines is a tough day, but this is meant to be a challenge! And the third day, maybe another steep hill or two in the Pennines, but then downhill all the way to the coast. 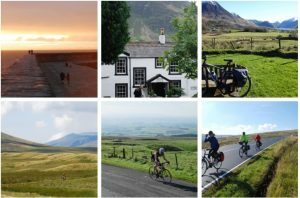 It’s not uncommon to treat the route as a challenge, for the hyper-fit to cycle it in a single day, but then you would almost certainly have to ride only the road version of the C2C. 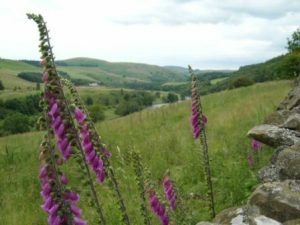 You would miss out on some of the best sections, off-road through the Pennines and into County Durham. Perhaps it would be better to take it slower? Why not take five days or even a week at a slower pace, stopping off in Keswick to visit Derwentwater (or cycle around it? ), rather than ploughing on out of sight it? Perhaps dropping down to Ullswater before cycling along to Pooley Bridge and from there to Penrith to rejoin the C2C route. And once over the Pennines, take a day at Beamish Open Air Museum, before finishing at Tynemouth or Sunderland. The 136-mile long C2C is mostly well sign-posted, the Sustrans C2C map and the various guide books detailed and clear. And accommodation is set up for cyclists along the way (if you book early for popular days). The What? I have to take issue with Sustrans over their choice of name for this route. Who outside southern Cumbria knows that Walney is an island off southern Cumbria near Barrow-in-Furness? And who other than the inhabitants of the North East of England, or those football fans familiar with the ‘Tyne-Wear derby’, could place the River Wear’s mouth in Sunderland? It’s a coast to coast cycle route! So why not call it that? Say, ‘The Other Coast to Coast Cycle Route’? Ah, no, because there are more than just these, such as The Reivers Route and Hadrian’s Cycleway. How about ‘The Wild Coast to Coast Cycle Route’? Because that’s what it is. Less tamed by thousands of other cyclists over the years. You can still dip your wheels in the sea at both ends, still see the Lake District and the Pennines, still say you’ve cycled from coast to coast on a long weekend. There’s signposting along the 152-mile route and Sustrans maps. And it still has a W in the name. I’ve often wondered about how that. Did the marketing folk at Sustrans just happen to notice that two random places began with W and thought they’d make a cycle route between them? I guess Worcester was a bit unlucky to miss out. Walney to Wear deserves the name ‘The Wild Coast to Coast’. Cycle it and see. 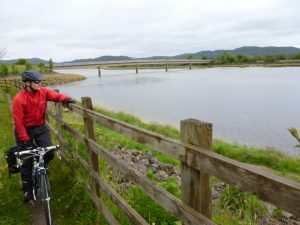 The Lochs and Glens cycle route is sort of a coast to coast. It runs across the Highlands of Scotland, and it’s great: cycling from the centre of Glasgow out towards the Clyde, cutting up to Loch Lomond, and then into the wildest of country heading north. It’s a shame to call it ‘Lochs and Glens North’ as Sustrans does, because that makes it feel like just a part of a route. ‘Lochs and Glens South’ runs from Carlisle through Dumfries, Galloway and Ayrshire to Glasgow and is not very Lochs and Glens-y. No. Glasgow to Inverness is the real ‘Lochs and Glens’ as far as I am concerned. Because it really is full of lochs and glens. Loch Lomond, Loch Venacher, Loch Earn and Loch Tay even before you reach lovely Pitlochry. 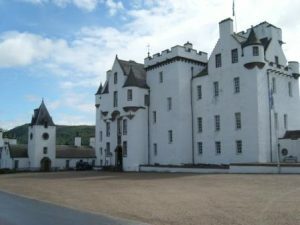 Then up through the woods at Killiecrankie, to the castle and distilleries at Blair Atholl. This route is not without its distilleries. Another plus point. Then you climb into the Cairngorms, mostly on a dedicated cycleway separated from the A7, or on very quiet roads. Up and up to Dawhinnie. Oh, look, another distillery! Then to the tourist centre of Aviemore and the fabulous bridge at Carrbridge. You even take in Culloden Visitor Centre for a bit of battling (or tea and cakes) before cycling on into Inverness, the capital of the Highlands. 217 miles / 349 Km according the Lochs and Glens North map. It really is a wonderful cycle route. Highly recommended. Number 2. Close, in my opinion. Very close to the Number 1 spot. The route starts on Plymouth Hoe, sharing Sir Francis Drake’s view out to the English Channel. Waymarked roads lead you out of Plymouth on to traffic-free disused railway lines through gorgeous woodland, steadily climbing towards the fringes of Dartmoor. You will see the fascinating towns of Tavistock, Lydford and Okehampton, and then gently descend to the sea at Bideford. Joing the Tarka Trail round the coast to Barnstaple, and then up and over to drop towards the sea again at Ilfracombe. 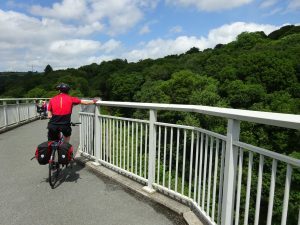 There are 100 miles of fabulous riding on the Devon Coast to Coast cycle route, with mostly gentle inclines, very often traffic-free and with an excellent guide book and map available. I say ‘100 miles’, but you can easily extend it, as I did – up on to Dartmoor itself, staying over in the middle of Dartmoor within sound of the Hound of the Baskervilles. Or dropping down to visit Buckland Abbey, home of Sir Francis Drake. Or looping out to Woolacombe before the finish at Ilfracombe. Just watch though – when you come off the traffic-free routes on either side, you hit hills. They are worth it, but get some hill-training in first if you are going to enjoy the excursions off the route! Officially this is the ‘Coast and Castles South’ cycle route. Which I take issue with. It used to be the ‘Coast and Castles’ before someone decided that Edinburgh to Aberdeen should be ‘Coast and Castles North’. No. Call that route something else. The 200-mile waymarked cycle route from Tynemouth near Newcastle-upon-Tyne to Edinburgh is the real deal. Northumberland has great riding along the coast, and you are never very far from castles – Alnwick and Bamburgh the most iconic. There are gorgeous beaches to your right and rolling farm fields to your left. And then there is Holy Island – Lindisfarne – which is beautiful. Time it right so that you can cycle across the causeway (and back) before the sea floods it at high tide. It’s well worth it. On to Berwick with its great ramparts, a border town if ever there was one, swapping between Scotland and England over the centuries. Then make a choice, continuing around the lovely coastline or pedal inland to the Scottish Borders towns of Kelso, Melrose and Galashiels. Call off at ruined abbeys and more castles, then climb up through peaceful valleys for an astonishing view over the destination of your ride: the city of Edinburgh. Cycle lanes and quite back roads take you right into the centre of the great city to the foot of the final castle on your ride, Edinburgh Castle. It’s about 200 miles to Edinburgh altogether, but take your time and use the Sustrans Coast and Castles map to explore a fabulous part of Britain. In my Top 5 Sustrans cycle routes, the Coast and Castles is my Number One.